MANILA, Philippines — Philippine President Rodrigo Duterte and Vietnam's prime minister have discussed efforts by their countries to delineate their maritime boundaries in the disputed South China Sea, most of which is claimed by China. Duterte said Friday, without elaborating, that he told Prime Minister Nguyen Xuan Phuc in a meeting in Indonesia that such boundary talks may take longer because the Philippines is still establishing its continental shelf limit, or the country's outermost boundary. "I told him that in due time, but we will take a longer period for we have to establish even our continental shelf limits," Duterte said he told Phuc in a meeting on the sidelines of a gathering of Southeast Asian leaders on Indonesia's Bali island. Vietnam initiated the on-and-off talks years ago. The Philippines, Vietnam, Brunei and Malaysia, which belong to the Association of Southeast Asian Nations, along with China and Taiwan have been locked for decades in territorial disputes in the South China Sea. Tensions flared after China turned seven disputed reefs into islands which it later equipped with surface-to-air missile defense systems, in moves that triggered alarm and protests. "Vietnam is our ASEAN brother and they have been supporting us in many ways and we have been supporting them," Philippine Foreign Secretary Alan Peter Cayetano told reporters. "But they're also claimants like us. 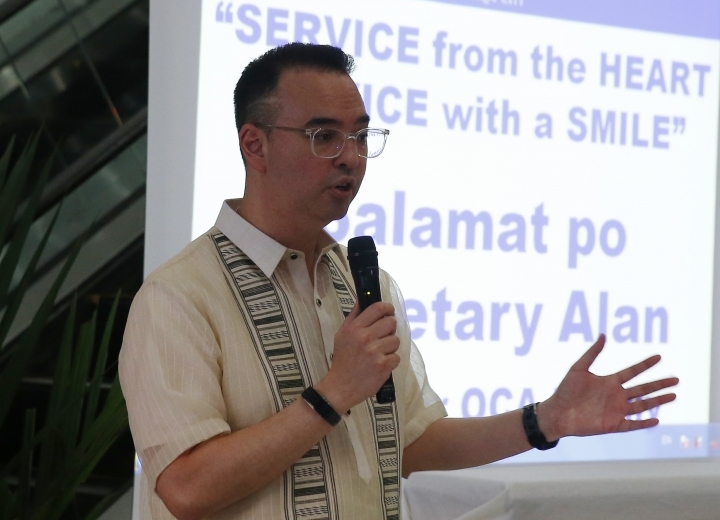 They also have features that are inside our EEZ," Cayetano said, referring to the stretch of waters in which a coastal state enjoys internationally recognized rights to exclusively fish and extract oil and gas in the seabed. Carl Thayer of the University of New South Wales, Canberra, said China would oppose the Philippine-Vietnam talks because Beijing claims most of the strategic waterway where the two Southeast Asian neighbors want to define their maritime boundaries. Efforts by the two Southeast Asian nations to define their maritime boundaries are significant because ASEAN and China are negotiating a regional code to prevent clashes arising from overlapping claims. China, however, has not clearly defined its sweeping claims, Thayer said. Some Southeast Asian countries have successfully forged agreements to delineate their overlapping exclusive economic zones and continental shelves in the past, he said.